Shem Women’s Group volunteers receive the solar lights we provided and distributes them to the poor in the local villages they serve. How are you? This is Lhamotso from Shem Women’s Group. I am writing to inform you about solar flashlights along with pictures. This year four of our 2010 members are going to do solar flashlight projects in their villages as show in the pictures during this winter holiday. We have provided the hand outs about the useage of the flashlights, explain the usage and report requirements to those four members this afternoon. We estimate that the reports/distribution could be done by the middle of March. 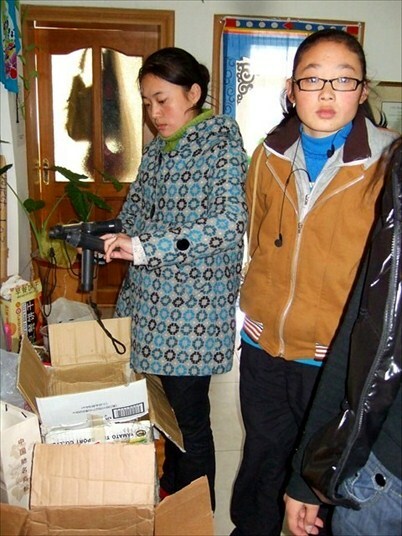 We extremely happy that flashlights would be the best gifts for recipients in this coming Tibetan New Year. Wish you all the best!